Baby game - clouds is the same as popping bubbles on the phone or tablet is very popular with the children. Popping Clouds for the kids it's fun, and it belongs to the category of children's educational games for toddlers up to 7 years. Educational children's games - a very important component of the modern development of the child. 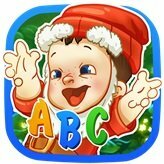 Educational games for small children on mobile devices are becoming a trend in the category of educational baby games and brings happiness and joy to your beloved children. ✬ guess right the animal, and click on it, you will know his name. ✬ guess right the colors, you'll learn their names. ✬ You can learn the alphabet, Russian, English. ✬ Improving the child's memory and ability to concentrate. Cognitive development of children, and improving education. ✬ Cheerful and colorful world!